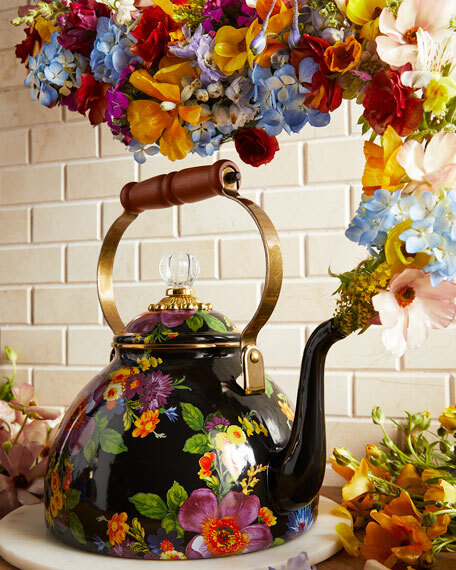 Enameled heavy-gauge steel; lid topped with acrylic, brass and glass accents. 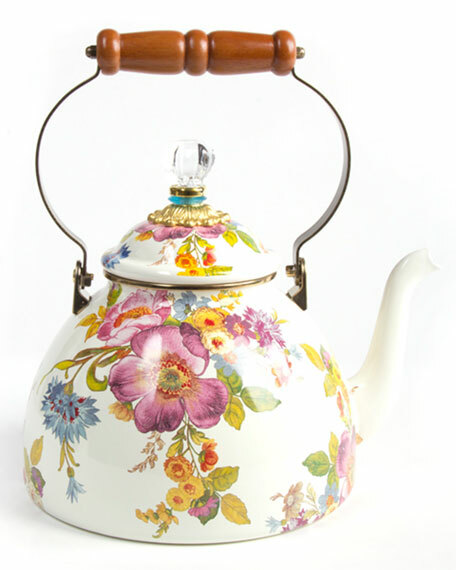 Glazed and decorated with hand-applied botanical transfers. Pieces will vary due to the handmade nature of each product.